Omega-3 essential fatty acids have a variety of health benefits, which according to the University of Maryland Medical Center, include playing a crucial role in brain function and heart health. Although some of the top sources of omega-3 fatty acids are sardines, salmon and tuna, vegetarians who don't eat fish can also enjoy the benefits of omega-3s from plant-based sources. There are different types of omega-3 fatty acids: alpha-linolenic acid, eicosapentaenoic acid and docosahexaenoic acid. Vegetable sources of omega-3 fatty acids are alpha-linolenic acids, but the body partially converts those to eicosapentaenoic acid and docosahexaenoic acid. 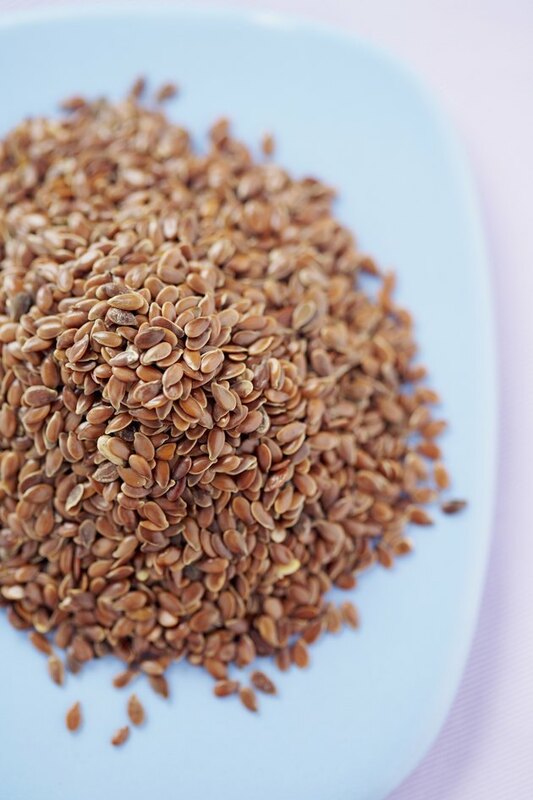 Flaxseeds are one of the best sources of omega-3s for vegetarians. 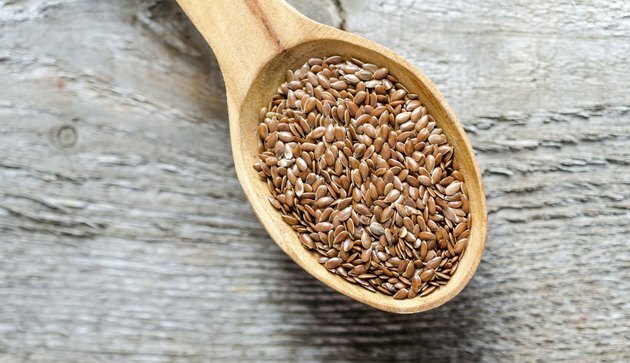 Sprinkle flaxseeds in your cereal or on top of a salad to increase your intake of the essential fatty acids. Chia and hemp seeds are other sources of omega-3s. Walnuts are also an omega-3 source that you can eat as a healthy snack. According to an article in the "Canadian Medical Association Journal," cashews, peanuts, Brazil nuts and almonds have trace amounts of omega-3 fatty acids. Omega-3 fatty acids are found in oils, such as soybean oil, flaxseed oil, canola oil and olive oil. To get more omega-3s into your diet, add a teaspoon of olive oil to your salad or add a teaspoon of flaxseed oil to your morning oatmeal. 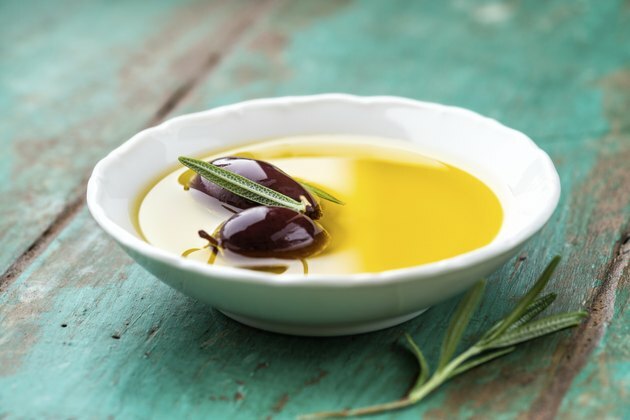 Use olive oil or canola oil for cooking. Dr. Frank Sacks of the Harvard School of Public Health suggests that as long as the oil is fresh, high heat will not destroy the omega-3 fatty acids. 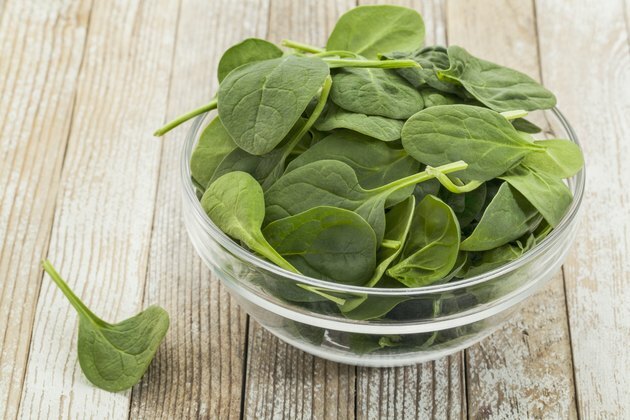 Leafy greens, such as spinach, are a healthy addition to your diet that are a vegetarian source of omega-3s. Broccoli, winter squash and cauliflower are also vegetable sources of omega-3s that you can add to your healthy diet. Try roasting the vegetables in olive oil for a delicious side dish packed with the healthy fatty acids. Berries are sweet source of omega-3s. Eat a handful of berries -- especially blueberries or cloudberries -- to enjoy a fruit packed full of nutrition. Eat a variety of other foods that contain omega-3s to help pave the way to your healthy lifestyle. Tofu is a versatile vegetarian protein that also contains omega-3s. It can be added to salads or used as a meat substitute in main and side dishes. 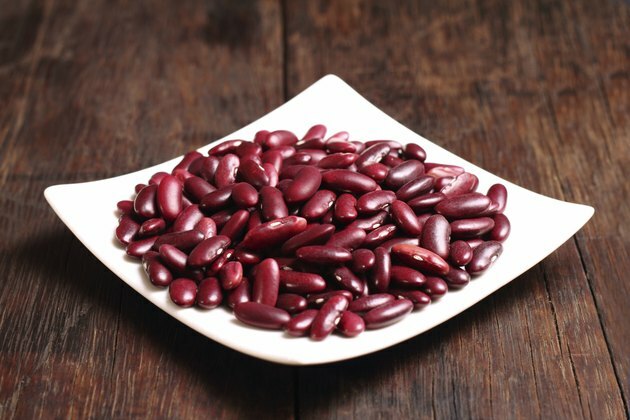 Beans -- particularly mung, kidney and pinto beans -- are also a vegetarian source of omega-3s. In addition to food sources, vegetarians can also add omega-3s to their diets through vegetarian omega-3 supplements. Do Walnuts Have Omega 3?